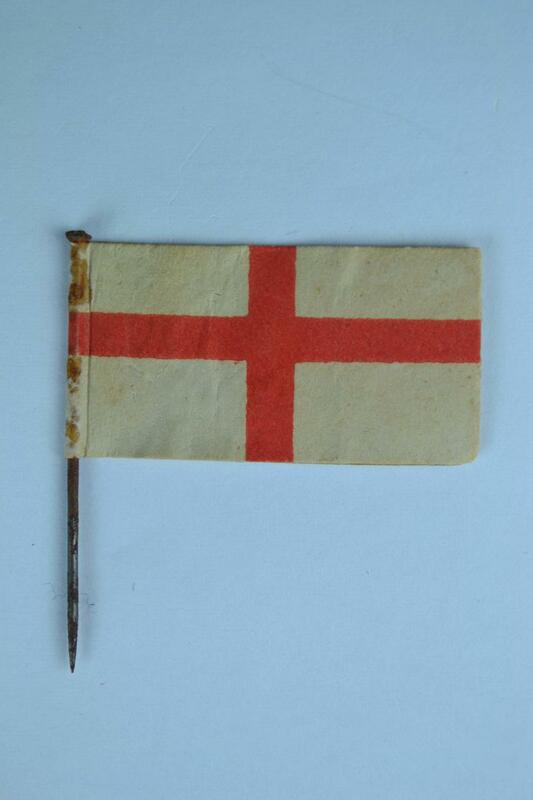 Paper flag mounted on metal pin. In form of the flag of England showing a red cross of St George on a white background. On the reverse side is an image of St George on horseback killing the dragon along with the motto 'St George for England!' and the statement 'Issued by the Royal Society of St George, 241 Shaftesbury Avenue, London'.